AppLock provides another patch of security to protect user’s privacy on their Android device additional to the system’s normal screen lock .With this app, you can lock App installed on the device, Contacts, incoming calls and even personalise settings. The lock also allows users to hide pictures and videos from their smartphone’s Gallery by moving them to a vault inside the app. No unauthorised persons is able to access anything that is locked by the AppLock without a password, pattern or fingerprint. Privacy, in a world where people know everything about anybody. Where everything is up on the internet. Privacy is something which is really hard to get. And for the sake of our privacy app developers have come up with AppLock. light file security android app allows the users to lock any file, app or folder in their phones with a passcode and keeps it away from unwanted people. The AppLock is a privacy android app which was developed by the domobile. The app lock has the ability to lock the apps which can only be accessed by the mobile user and any other person can not open the app which is protected by the AppLock. The AppLock was launched in the year 2012 and is used by many people across the world. It has an approximate of 150 million users. The app supports over 32 languages. The app has got good reviews from the users and the review count is 4,500,000. The app is user friendly and can be easily understood. 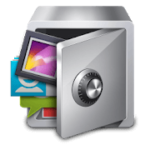 The app lock also has a vault which protects the images and videos of the user. It also has a private incognito browser and allows to use multiple social media accounts. The app lock was also the most recommended app in the google play store home.